Regular readers may be aware that until recently HBRI was the only possible source for people to do TMAU Genotype test (DNA blood test) in North America, testing for variants/mutants in the FMO3 gene associated with TMAU. Unfortunately, HBRI recently announced testing will be suspended temporarily until the summer of 2010. Due to lack of program support, HBRI is not currently accepting samples for TMAU testing. We will accept samples in June of 2010, with results anticipated in the fall of 2010. 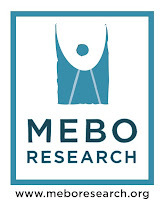 MeBO Research has tried contacting other sources of clinical genetic testing in the USA to try to persuade them to add TMAU DNA testing to their repertoire. We are pleased to say that a Hospital has kindly decided to add the TMAU DNA test to their list of tests hopefully early in the New Year. We will refrain from posting their details until all is confirmed and established. The test would be available to anyone with a prescription from a physician - including international physicians. We do accept international specimens. We perform institutional billing - except for registered patients - so there is no insurance issues to overcome. The patient could pay the submitting facility directly. We would then bill the facility.